Xiaomi on Tuesday unveiled a variant of its Redmi 3 smartphone in China, called the Redmi 3 ‘Pro’ or ‘high version’, featuring some upgrades in the memory, inbuilt storage, and sensor areas. 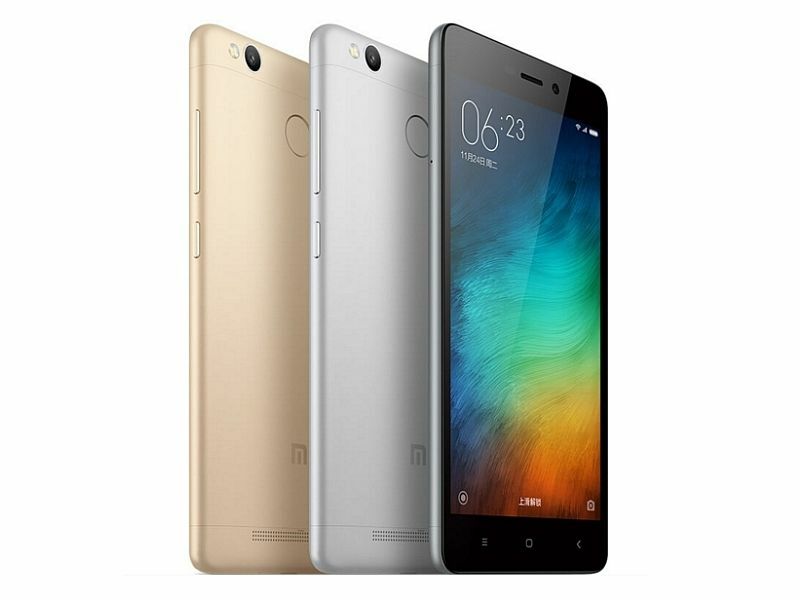 The new Xiaomi Redmi 3 variant has been priced at CNY 899 (approximately Rs. 9,000) and will become available in China next month, with its first flash sale on April 6. To recall, the original Redmi 3 was priced at CNY 699 at launch. As of now, there is no word on the handset’s availability in other markets including India. It will be available in Gold, Grey, and Silver colours. The new Xiaomi Redmi 3 Pro features bumped RAM and storage. It also packs a fingerprint sensor which was missing on the original Redmi 3. The rest of the features and specifications of the Redmi 3 Pro are identical to the Redmi 3. The Xiaomi Redmi 3 Pro features a 5-inch HD (720×1280 pixels) display and packs an octa-core Qualcomm Snapdragon 616 processor, with four cores clocked at 1.2GHz, and four cores at 1.5GHz. The handset includes 3GB of LPDDR3 RAM, Adreno 405 GPU, as well as 32GB of inbuilt storage that’s expandable via microSD card (up to 128GB). The original Redmi 3 sported 2GB of RAM, and 16GB of inbuilt storage. Much like the Redmi 3, the Redmi 3 Pro also packs a 4100mAh non-removable battery, a highlight of the device. It runs MIUI 7 though Xiaomi has not revealed the Android version on the Redmi 3 Pro. On the camera front, the Redmi 3 sports a 13-megapixel rear camera with LED flash, f/ 2.0 aperture, PDAF autofocus, and also supports 1080p full-HD video recording. There is a 5-megapixel front-facing camera as well which also supports full-HD recording. The dual-SIM Redmi 3 Pro comes with hybrid SIM slot that support one Micro-SIM and other Nano-SIM alongside microSD card. For connectivity, the Redmi 3 Pro comes with 4G LTE connectivity, with support for LTE bands in India. Other options include Bluetooth, GPS, A-GPS, Glonass, GPRS/ EDGE, Micro-USB, and Wi-Fi 802.11 b/g/n. It measures 139.3×69.6×8.5mm and weighs 144 grams.